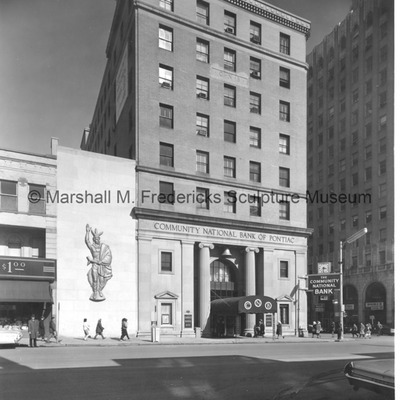 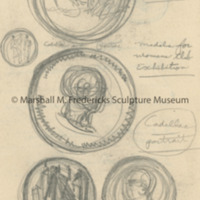 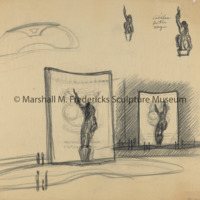 Sketches of various unidentified medallions, including Cadillac and Pontiac, Women's Club Exhibition and St. Dunstan's Theatre Guild. 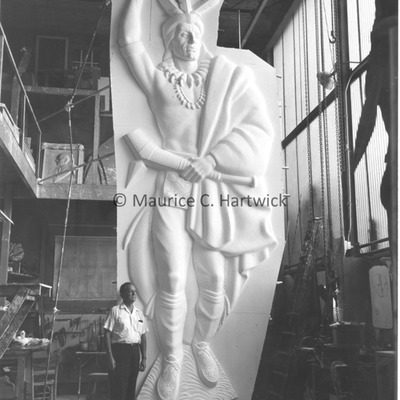 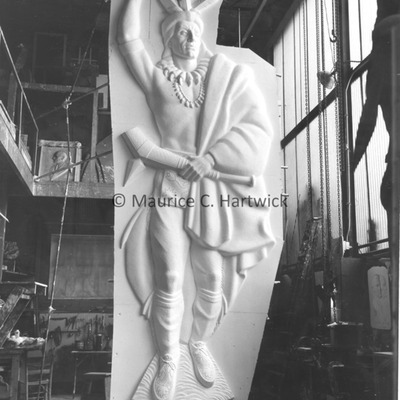 Large board section with part of Chief Pontiac drawing on the white surface. 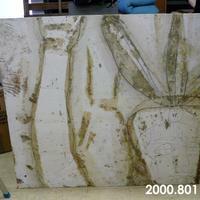 Brown clay stains are on the surface.